Summer is right around the corner. With summer comes gardening, flowers and spending time outdoors! Each year I try to think of something new to add (or change) in our yard and on our deck. I always have grand ideas but very rarely get them accomplished. I have high hopes of this year being different! Plow and Hearth offers an amazing selection of items perfect for helping me achieve my goals. Everything from garden furniture to decorative containers to raised flower and garden beds. I browsed the site fro more than an hour and had numerous items picked out. Making the choice on which one item to order first was quite difficult. 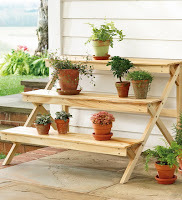 I ended up choosing the tiered wooden plant stand from Plow and Hearth to begin my outdoor summer makeover. Planting flowers and herbs with my children is a yearly tradition. The plant stand looks like a miniature three tiered picnic table for your plants. It can easily display a variety of potted plants, both inside or out. It is made of sturdy hardwood and is varnished to look great and last! It was very easy to assemble. My husband put it together from start to finish without getting irritated or losing his patience! That in itself says a great deal about this product! Both my husband and I are very impressed at just how sturdy and stable the plant stand is. Plus, it looks great and I love it! I got this item to put outside on our deck. We spend lots of time out there during the summer as a family. It is where we lounge on our porch swing, BBQ and enjoy the mountain view. However, the plant stand is still in our bedroom - two weeks after its arrival. It looks great there and I just can't bring myself to put it outside... not yet! 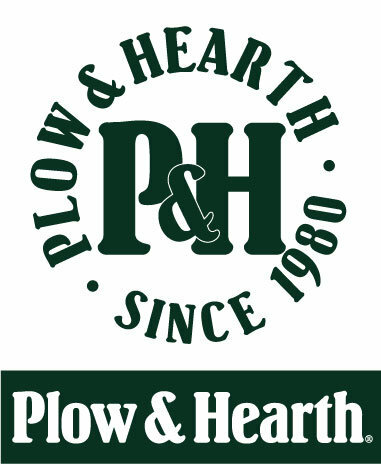 Founded in 1980 as a small country store, Plow & Hearth is a trusted national catalog, retail, and internet company specializing in unique, enduring home and lifestyle products that are quality-built and guaranteed to meet our customer's expectations. A special thanks to Plow and Hearth for this great review and giveaway opportunity! I really like the Stars & Stripes Servingware and I think it might go towards that purchase. I love the "Chalkboard Organizer". I'd love to have a slatted wood rocker. I just followed Being Frugal on Facebook. I visited Plow and Hearth and I would choose the Saint Francis statue. quick dry, non-slip, washable. and pretty! I'd love to get the Picnic Organizer. 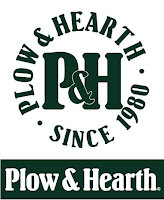 Following Plow & Hearth on Facebook. I'm following Ploy & Hearth on Twitter, as janj4c. I follow you on Networked blogs, as Jan/Jewelry4Change. I would get a couple of their Bamboo Folding Chairs for the beach. I really like the weather minder. I like Plow and Hearth via FB. Cortney S.